The Dragonfly Natural Rubber Performance Yoga Mat was designed for enhanced performance providing added stability, comfort, cushion, and grip. The closed-cell, non-slip surface keeps the moisture and bacteria out, making cleaning super easy. This mat is completely non-toxic, biodegradable, recyclable, and contains no PVC. Color may fade over time if left in direct sunlight. Engineered for sustainability, its easy to see why this mat is one of our customer favorites! The Dragonfly Natural Rubber Performance Yoga Mat was designed for enhanced performance through added stability, cushion, and grip. The closed-cell surface is incredibly grippy and easy to clean. Completely non-toxic, biodegradable, recyclable, and contains no PVC. 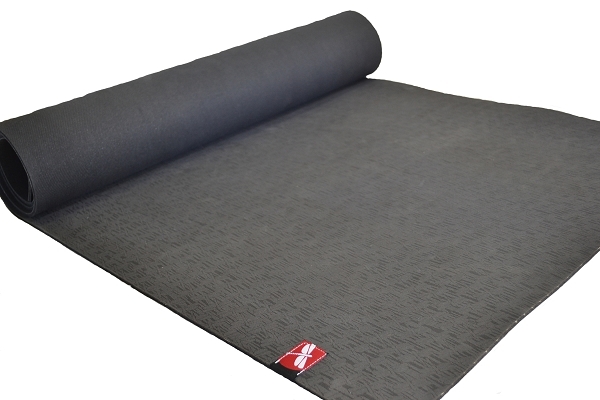 This mat is for the serious yogi requiring daily performance while also incorporating eco themes. For optimal performance, wipe with a damp cloth before each use. Excellent Mat. Perfect amount of cushion and support. Heavy to cary but not to the point of annoyance. Love this mat! This mat is the best thing I've encountered for bikram. While it's heavy, it's also thick and cushiony without being overly so. Would recommend to a friend. I will definitely not need to buy a new mat for a long while.